The pedal harp is the tall, stately harp you would see, for example, in the orchestra. It is the “Grand Piano” of harps. The lever harp is smaller (though still classy looking) and built to be moved more easily. There is a difference in the sound, as well as appearance; the pedal harp can project sound better since it is larger. To hear the difference you can listen to the wedding demo. 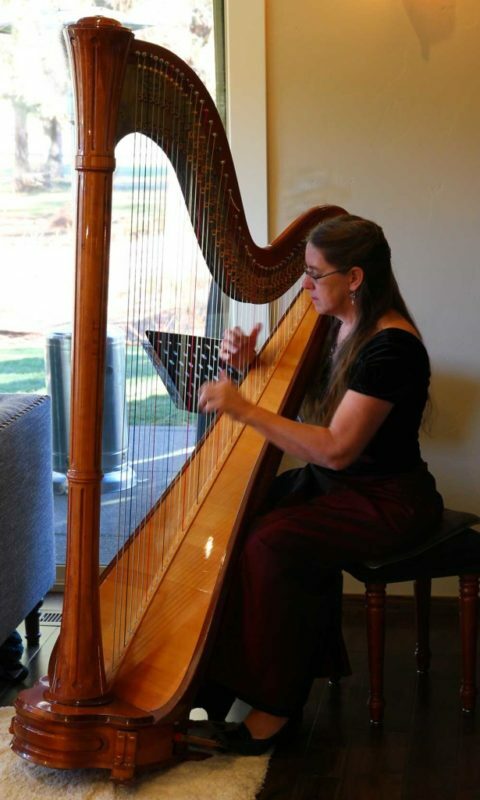 Because the pedal harp is harder to move and more expensive to maintain, there is a slight increase in the fee I charge for bringing it to an event. Many people feel the grand sound and formal appearance make it worth the extra expense, but listen to the demo and decide for yourself!